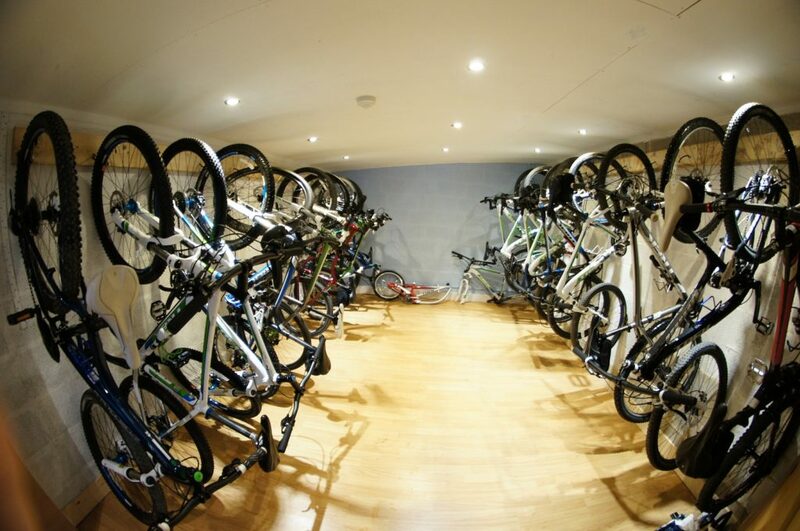 Here at Bike Garage you can expect a friendly and personal bike retailing experience. Have some questions before you invest in your next bike? You can always trust us to give you honest advice with your best interests in mind. As a certified Bosch E-bike dealer, we can offer information on any electric bike and provide you with a real test ride on one of our demo bikes. After your purchase, we’re here to provide you with assistance in case of any problems and to monitor the health of your eBike system using diagnostic software. We are trained to provide diagnosis on any Bosch system. 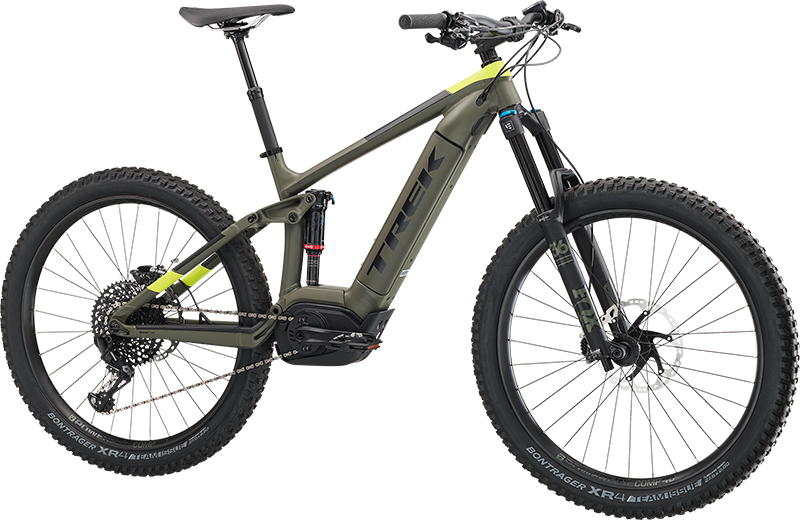 Powerfly LT 9 is the top-end alloy full-suspension electric mountain bike in the line-up. 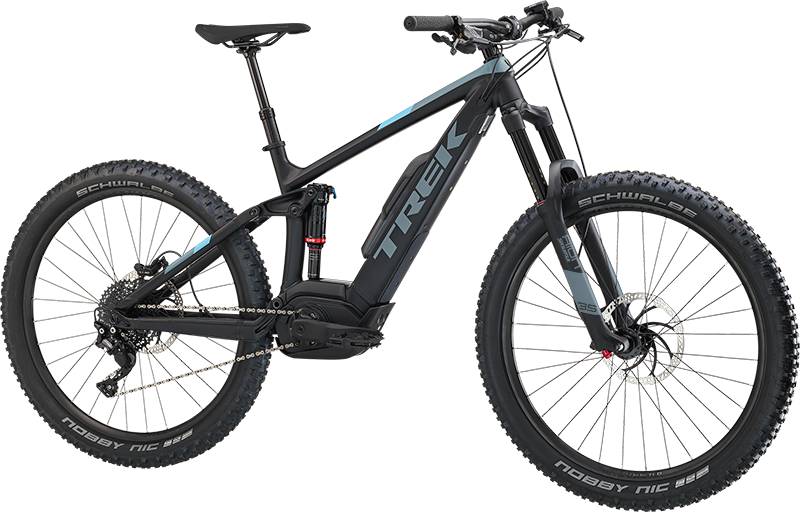 Longer travel 150 mm/160 mm suspension with Trek’s exclusive RE:aktiv damper, a powerful Bosch pedal-assist system, 27.5+ mid-fat tyres for extra traction and capability, a wide-range 1×12 SRAM drivetrain and 4-piston brakes give Powerfly LT 9 true trail bike performance and the ability to go further, faster and bigger than you ever thought possible on an e-MTB. Chosen for great rear suspension and superior control during fast descents. Powerfly LT 4 is an electric mountain bike with long travel front and rear suspension for especially technical terrain. It’s made for real-deal mountain bikers who get rowdy on rugged trails with 150 mm of travel, a 160 mm fork, mid-fat 27.5+ tyres, a powerful Bosch motor that helps you sustain speeds of up to 15.5 mph and a durable trail bike spec. Chosen for great geometry, handling and value for money. The latest updates about products that we love. We handed over one of our new 2019 Trek Powerfly hire bikes to Kieran from Dialed Mag. You can read his full review or see the video above. We think Ebikes are somewhat of a game changer, with the Powerfly range being at the front of that.